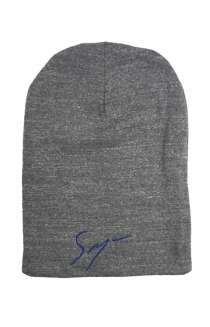 Sawyer's Signature Skull Cap is heathered grey in color and double layered. 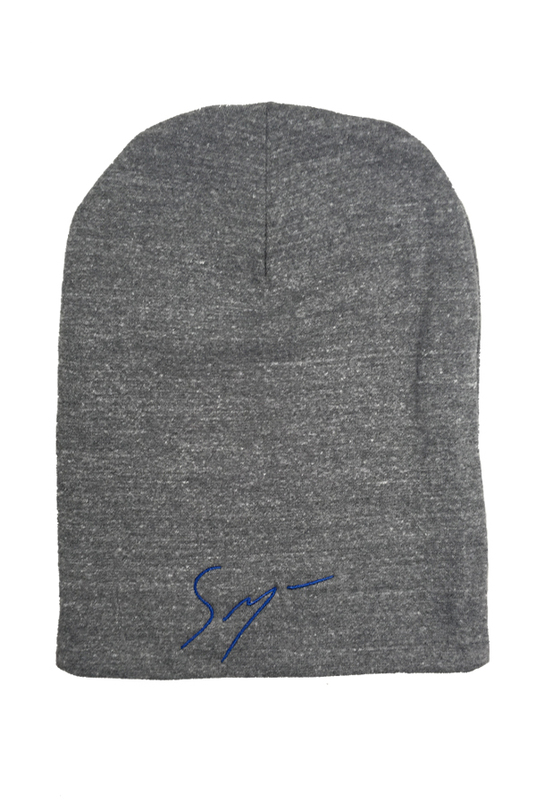 Sawyer's Signature Skull Cap is eco-friendly -- made from 48% recycled polyester, 36% organic cotton, 12% rayon and 4% spandex. Made in USA by Royal Apparel, this Skull Cap is embroidered in deep royal blue thread with an authentic Sawyer Signature measuring 3 1/2" X 2 1/2". The unisex Skull Cap is breathable, yet still cozy; perfect for nearly year round use.